Turn back the hands of time — it’s moving too fast! 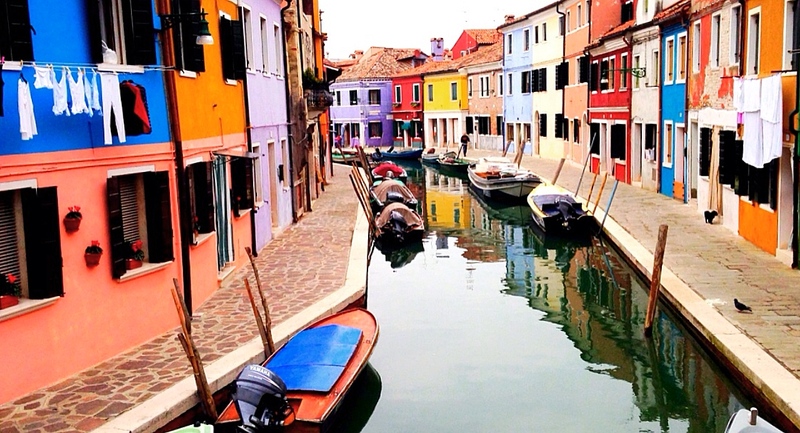 Waking up early in Venice is the only way you will ever have her to yourself … or almost. Today, we connected with the very talented Marco Secchi, a renowned photographer, for a morning photo tour. The city does wake early, but it’s a different city in the wee hours; a quiet beauty takes over. Marco, born and raised in Venice, showed us the back streets, introduced us to the good food and unveiled just enough of this mysterious city to make us feel at home. You could keep peeling back the layers like a onion and still not know Venice, with so much history taking place behind masks in the quiet back allies. Intriguing, fascinating and enchanting. 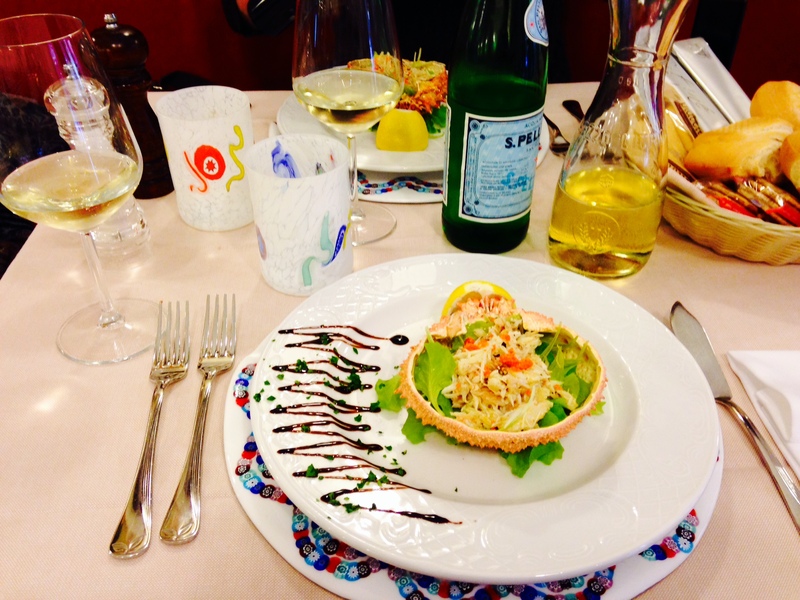 The rest of the day was spent with food, vino, a trip to the famed Hotel Danieli — cited as one top five luxury hotels of the world — and joy-filled wandering. Venice does have great art and sights to see, and on previous trips, I have basked in their glory. 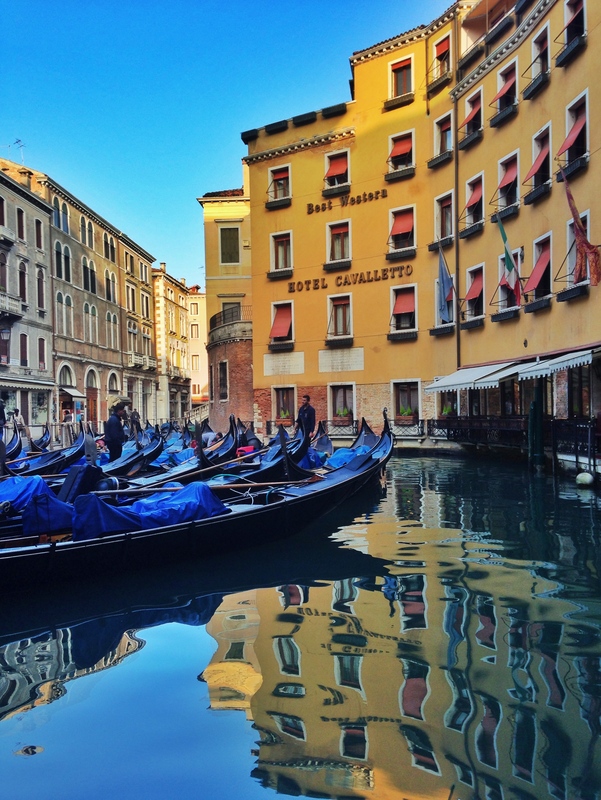 The city itself is Venice’s top attraction. On this short trip, I’ll stick to ogling the city that was. A city of majestic reign, still holding her head high with the dignity she deserves. A little addendum for you wine lovers out there… Tonight’s bounty: Brilliant cichetti (snacks) to go and vino in a plastic water bottle. Sound bad? Like really bad? It’s not, I can assure you of that. At a little wine shop in Venice on the San Polo side of the Rialto is a tiny wine shop with old school jugs that will refill bottles. I was on the run, but I know what I like. 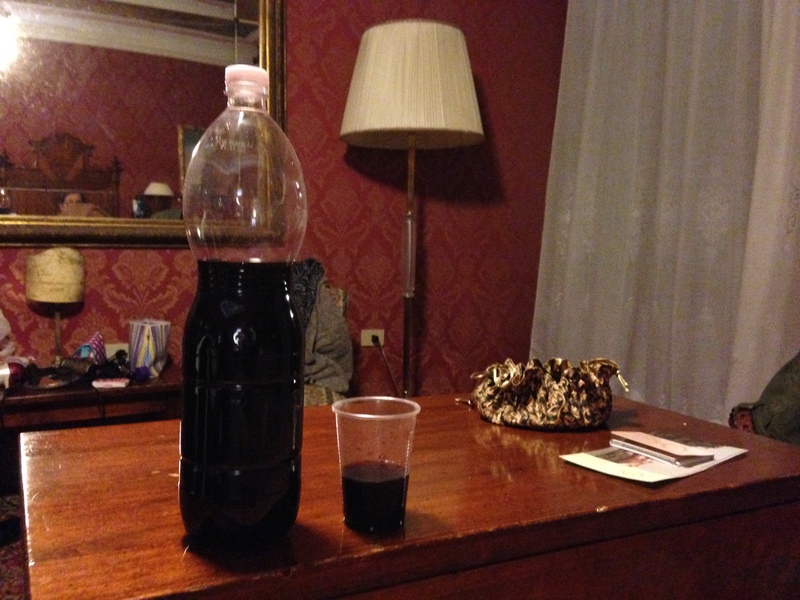 I chose a Cab Franc from the Veneto, they filled my “water bottle” for 3 Euros — and off I ran. After promising my Mom she would not get a blinding headache, we had it with our “dinner” to go. It was local and brilliant, I promise. Blindfold me and I’d tell you it was a fine wine, and so it was! Salute!